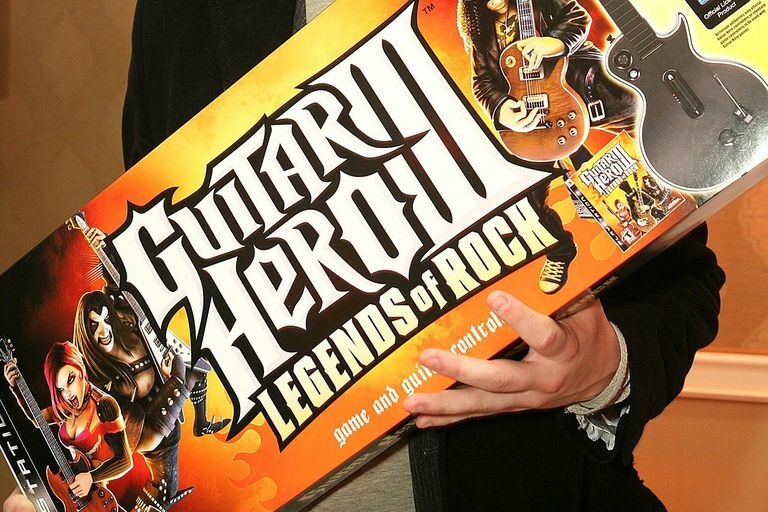 "Guitar Hero III" is the third installment of the Guitar Hero series. In this music video game, you use a guitar-shaped controller to simulate playing lead, bass and rhythm guitar. Use the following cheat codes on the Xbox 360 video game console. Using these cheats will deactivate achievements. The codes below may look a bit odd when compared to other Xbox 360 cheats. These codes represent the colors on the guitar. When two colors are listed together -- such as "BY" for blue and yellow -- you need to strum both colors at the same time. Pay special attention to the timing when entering these codes, as it may take a bit of practice to get it right. Enter the following cheats within the Options > Cheats menu of the game. Unlock All Songs Cheat Code: YO, RB, RO, GB, RY, YO, RY, RB, GY, GY, YB, YB, YO, YO, YB, Y, R, RY, R, Y, O. Create a new band when you use this code so that you will not have to buy any of the songs. Note: Guitar Hero III cheats are on the previous page. The following achievements can be unlocked in Guitar Hero 3 on the Xbox 360 video game console. Simply perform the indicated task to unlock the achievement and the gamerscore points associated with it.